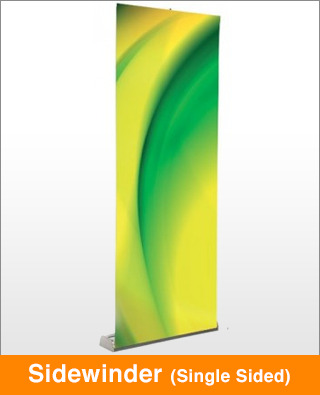 Still our most popular roller banner, the Sidewinder characterises flexibility. This robust and timeless system is compact and ideal for regular use. Never lose your pole set again with Sidewinder’s integral pole set.